So I ended up calling a last minute audible for this weeks bumwinebob.com feature of the week. By now you should all know that the Matt Man from IWS Radio was named the 2016 BWB NFL Pick 'Em league champion, so I figured it would only be fitting to celebrate with a congratulatory can of 211. Now the only problem was that we already featured the classic 211 as a prior BWB Forty Of The Week, and have also featured other various flavors of the 211 Alloy Series as malt beverages of the week. So what was the next thing on the list? 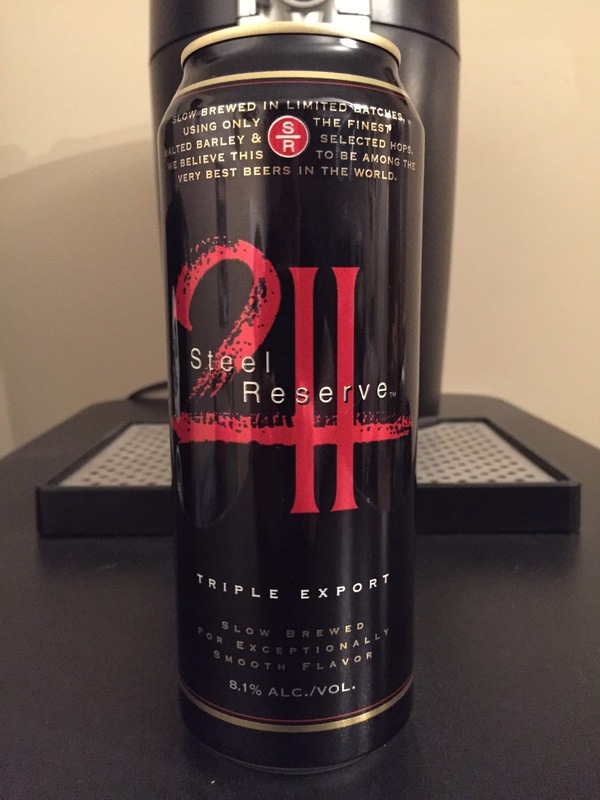 Steel Reserve Triple Export! 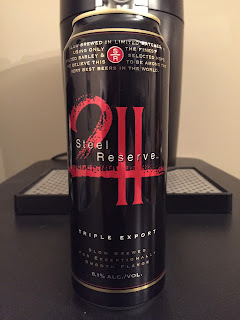 This would only be my second time trying the Steel Reserve Triple Export, which is "Slow brewed for exceptionally smooth flavor" and with it's fancy can is trying to be marketed as a high end beverage. I first tried it a few years ago after I first saw it on shelves and was not very impressed. 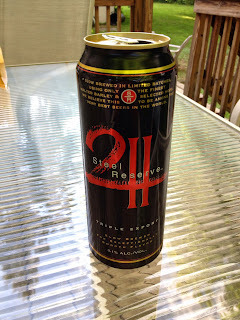 But then again it's still a can of 211, so really what should you expect? The triple export is coming in at 8.1% ALC./VOL. and only $1.99 for a 24oz can. The taste isn't bad as long as it's cold. If the can starts to get warm on you it might be tough to drink. Pound this sucker down quick and you will thank me after. Take a chance and grab yourself a can of Steel Reserve Triple Export, the BWB Beer Of The Week! Steel Reserve Triple Export is the first stop on the 2017 BWB Budget Beer Tour! Get Krude for the New Year and tune in LIVE this Sunay at 10pm ET as we welcome Kapn Krude back to Bumming with Bobcat! Kapn Krude already laid out his new years 2017 predictions in his final edition of the Krude Experience for 2016, but we are welcoming the man who brings you "The Krude Experience" every week back to Bumming with Bobcat to tell the world all about his latest drinking and debauchery! Grab a drink and join the party! Cheers!